Do you feel like your choices are limited by academic or industrial research? 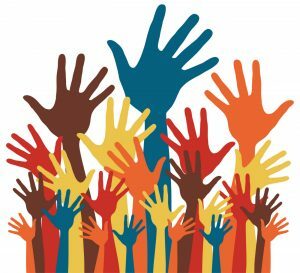 Do you feel that very few people understand or care what science is about? 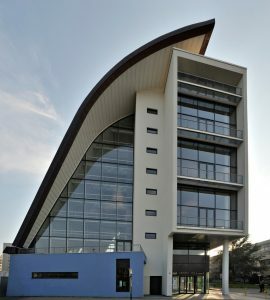 Do you like to communicate science? 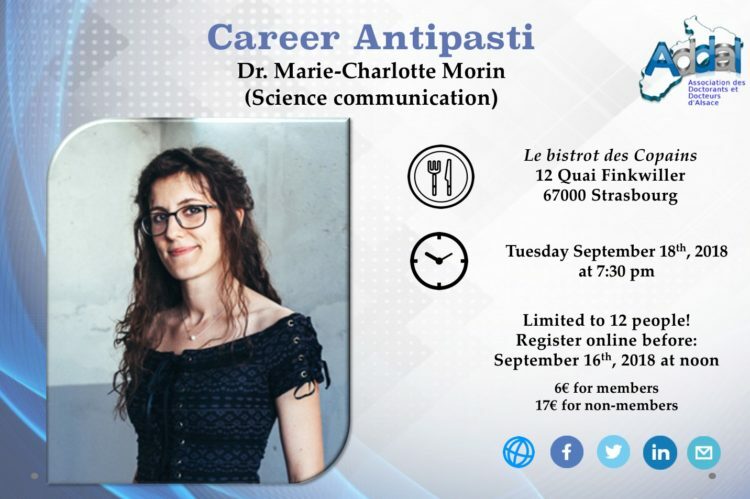 Then, join us for our next Career Antipasti with Dr. Marie-Charlotte Morin. Dr. Morin holds a PhD in Biology from the University of Strasbourg. During her thesis she won the national competition “Ma These in 180 Secondes”, and now she is building her own career in science communication. The Career Development Team of Addal invites you to meet her and have dinner in an informal and friendly atmosphere. Learn about her experiences and share her anecdotes on Tuesday, September 18th, at 7:30 pm at Le Bistrot des Copains.